Located in the Latin Quarter on the Left Bank and behind the Panthéon, the Church of St. Stephen of the Mont is best known for its magnificent Renaissance rood screen. The screen, arguably the finest example of its era, spans the entire width of the nave between the north and south walls and includes a loft. In medieval days it would have been common for choristers to sing or priests read the gospel from aloft. Visiting hours vary, depending on the day and the time of the year. The Church of St. Severin is about 10 minutes by foot from Saint-Étienne-du-Mont. 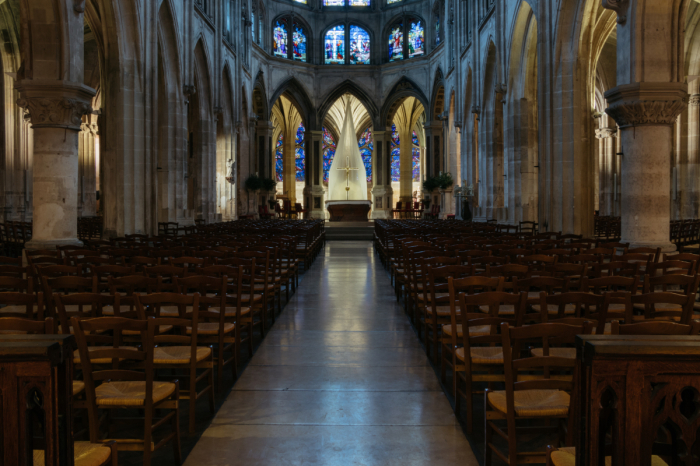 Dating to the late 15th century, when an earlier 13th century church — itself a replacement for an even earlier 11th century church — was damaged in the Hundred Years’ War, it is an example of Flamboyant Gothic architecture. As with most churches it was altered in the ensuing centuries, though the east end with its ambulatory and numerous side chapels is mostly original to the 1440s. A sharp eye will also note the twisted column behind the altar in the center of the apse. Another treasure at Saint-Séverin are the bells from 1412, the oldest in Paris. The church is open daily from late morning through the evening. The Church of St. Merri is both ancient and unusual, the latter because of its dedication to St. Mederic, a little-known saint. The present-day church is mostly 16th century, though a series of additions and redecorations in the 18th century were done in the then-fashionable style of baroque. This includes the striking quire, which despite its appearance is actually faux marble. Exterior restorations, including of the west front, were also carried out in the 19th century. 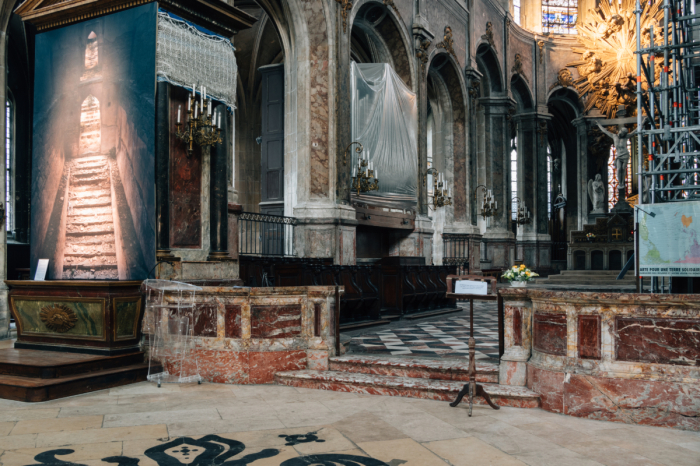 Parts of the interior are used for art displays and other secular uses — a reflection that many churches in France no longer have congregants to fill the pews. Throughout the church there are visible signs that a restoration is needed, as much of the fabric is in rough condition. When I last visited scaffolding was erected on the inside and outside of the south wall. Saint-Merri is open daily, year-round from early afternoon through early evening.